Take a whirlwind trip down the Bourbon Trail with Whiskey Professor, Bernie Lubbers and learn about our nation s native spirit. In the pages of this funny and easy-to-read book, you will learn how bourbon is made, the history of bourbon in Kentucky, America, and the world, the difference between whiskey and bourbon, and how to read labels of bourbon and whiskey bottles. Included is an updated and expanded guide to where to go to visit the Kentucky distilleries as well as other bars, restaurants and hotels nearby to make the most of your visit. 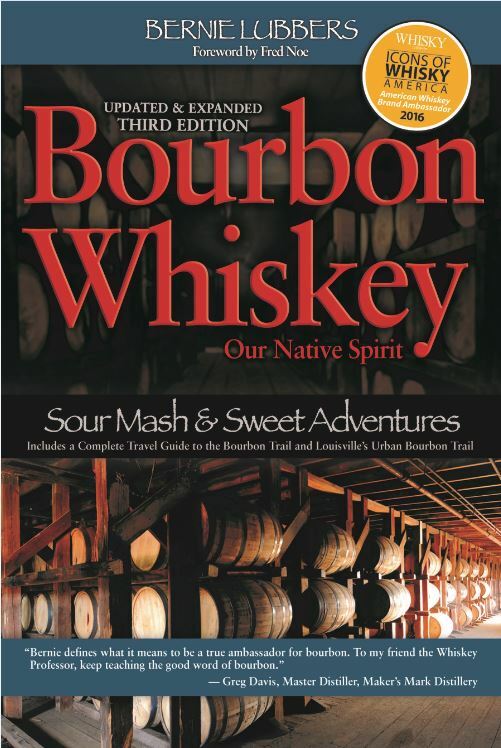 There is also a guide to Louisville s Urban Bourbon Trail. Readers will find an expanded section on drinks and recipes to make with bourbon at home, and how to host your own bourbon tasting. Also new is a who s who of the names on bourbon labels, a history of the evolution of the drink from corn whiskey to bourbon whiskey, hints on how to host a Kentucky Derby party in your home (with accompanying bourbon recipes), a list of approved bottled in bond restaurants in the United States, and lots of new facts and trivia about this uniquely American beverage. Bernie Lubbers, known as The Whiskey Professor, is the Global Whiskey Ambassador for the family owned and operated Heaven Hill located in Bardstown and Louisville, KY. Heaven Hills is the largest American owned bourbon company and holds 25% of the world s aging bourbon. With bluegrass musician Hickory Vaught, he wrote and co-performs a live music show/whiskey tasting called; Bourbon Thru Bluegrass where folks get to sample whiskies from the style of the 1700’s, through the 1800 s, & then the single barrel and small batch bourbons of today. Bernie won Whisky Magazine’s Whiskey Ambassador of the Year in 2009 for the U.S. and then went on to win Whiskey Ambassador of the Year International. He was again presented the U.S. Whiskey Ambassador of the Year in 2012 alongside the legendary Elmer T. Lee.